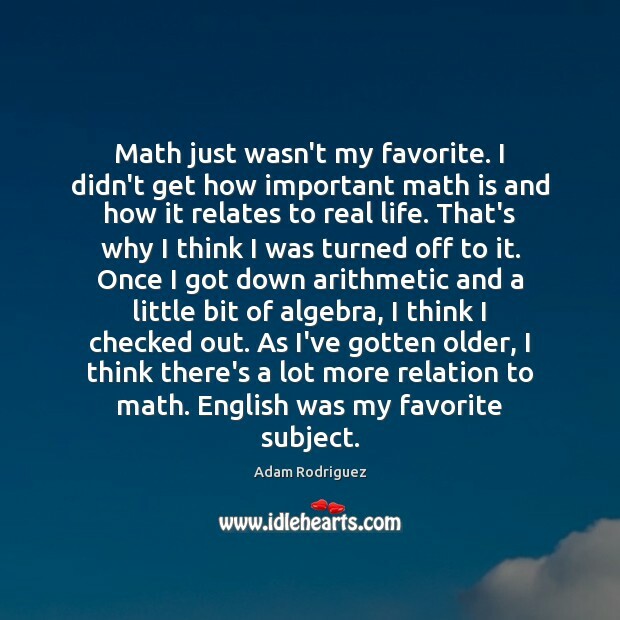 Enjoy the best inspirational, motivational, positive, funny and famous quotes by Adam Rodriguez. Use words and picture quotations to push forward and inspire you keep going in life! 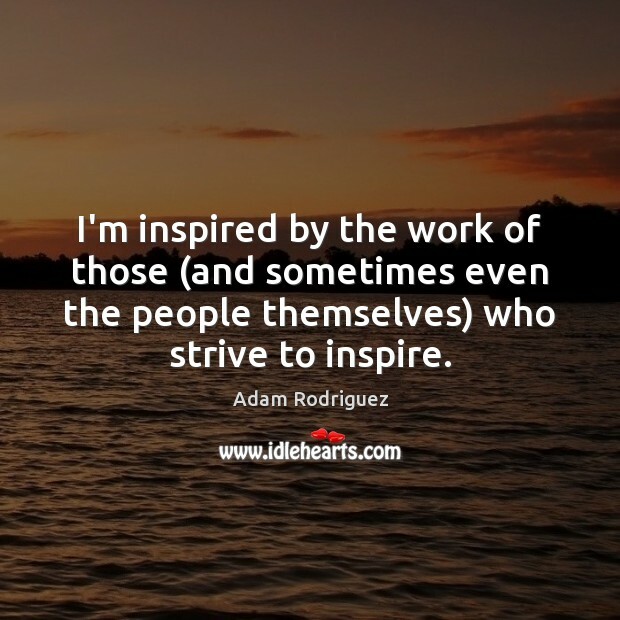 I'm inspired by the work of those (and sometimes even the people themselves) who strive to inspire. Feeling alone is what most likely sparked this way of thinking. 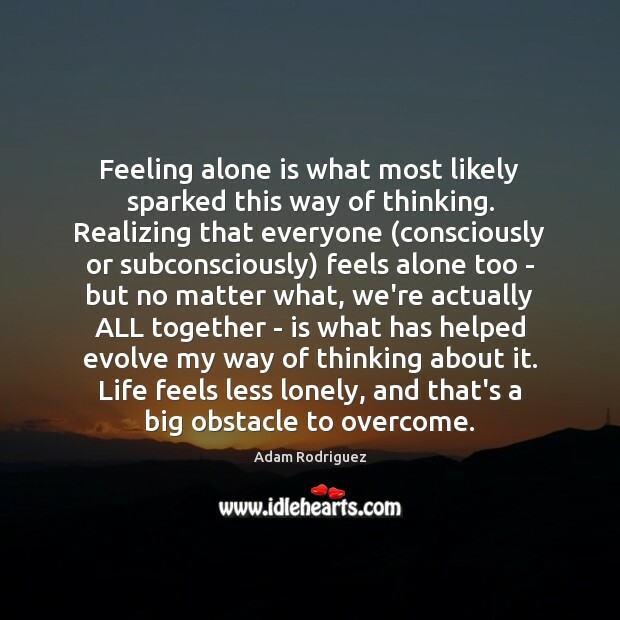 Realizing that everyone (consciously or subconsciously) feels alone too - but no matter what, we're actually ALL together - is what has helped evolve my way of thinking about it. Life feels less lonely, and that's a big obstacle to overcome. 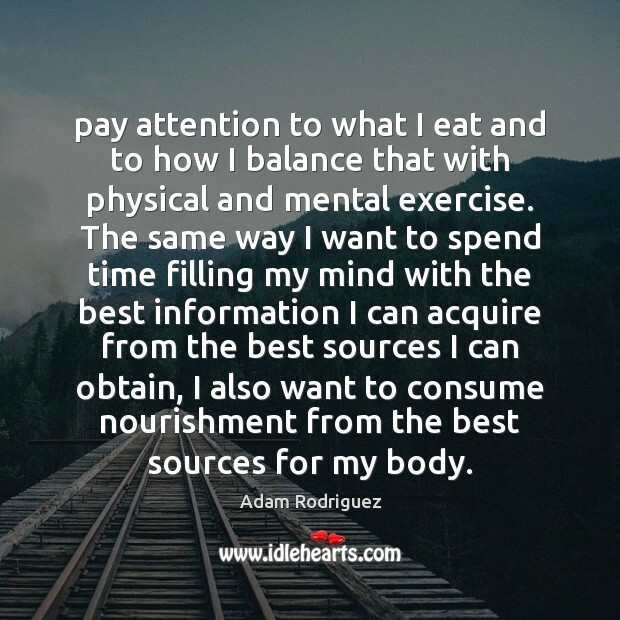 pay attention to what I eat and to how I balance that with physical and mental exercise. The same way I want to spend time filling my mind with the best information I can acquire from the best sources I can obtain, I also want to consume nourishment from the best sources for my body. 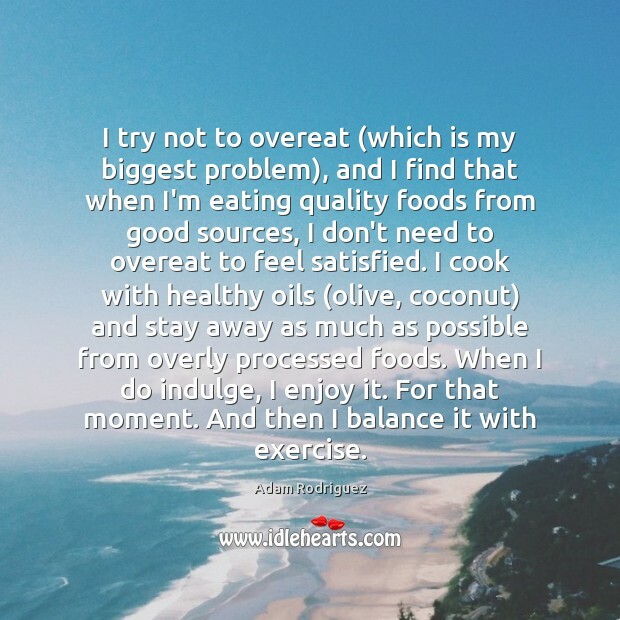 I try not to overeat (which is my biggest problem), and I find that when I'm eating quality foods from good sources, I don't need to overeat to feel satisfied. I cook with healthy oils (olive, coconut) and stay away as much as possible from overly processed foods. When I do indulge, I enjoy it. For that moment. And then I balance it with exercise. 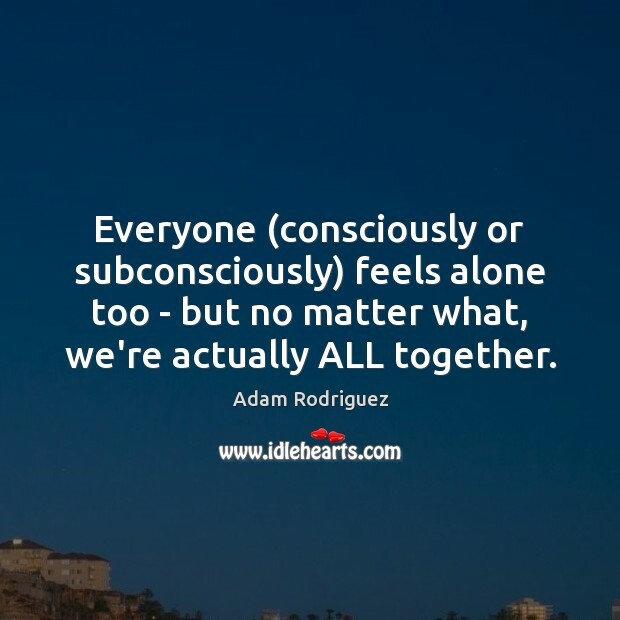 Everyone (consciously or subconsciously) feels alone too - but no matter what, we're actually ALL together. I'm definitely not comfortable in a Speedo! That's as uncomfortable as it gets! 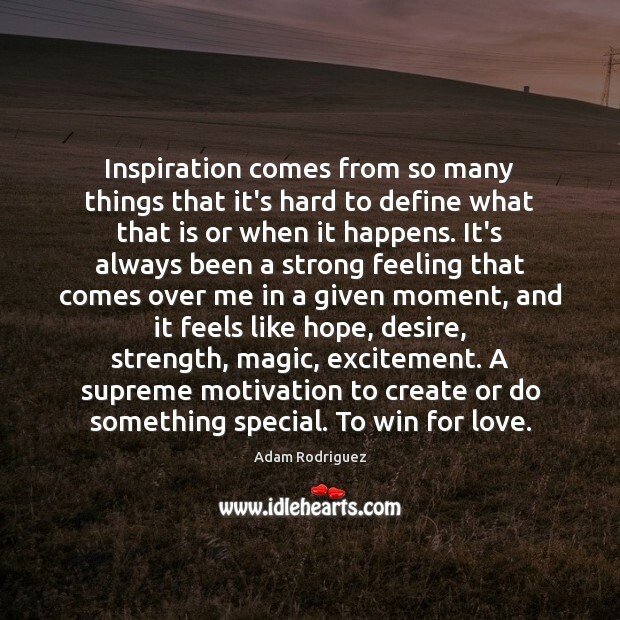 Inspiration comes from so many things that it's hard to define what that is or when it happens. It's always been a strong feeling that comes over me in a given moment, and it feels like hope, desire, strength, magic, excitement. A supreme motivation to create or do something special. To win for love. 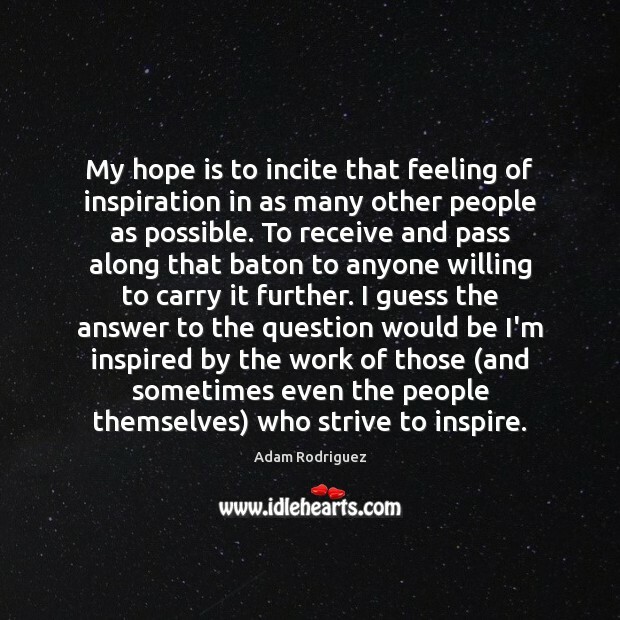 My hope is to incite that feeling of inspiration in as many other people as possible. To receive and pass along that baton to anyone willing to carry it further. I guess the answer to the question would be I'm inspired by the work of those (and sometimes even the people themselves) who strive to inspire. 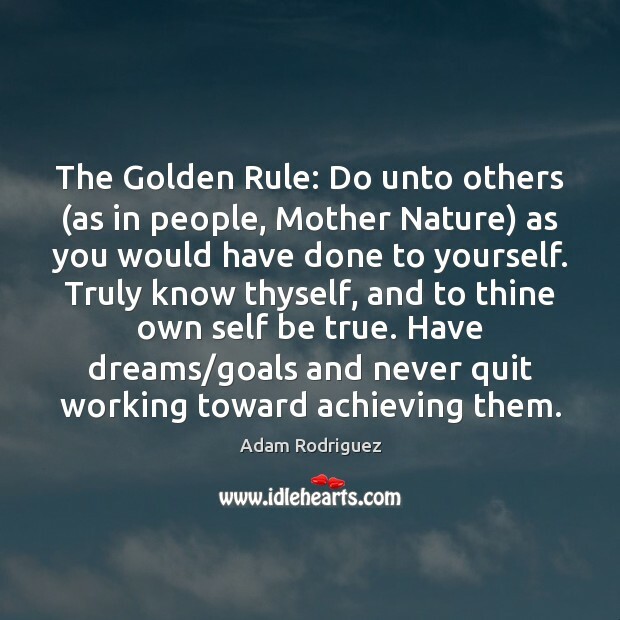 The Golden Rule: Do unto others (as in people, Mother Nature) as you would have done to yourself. Truly know thyself, and to thine own self be true. 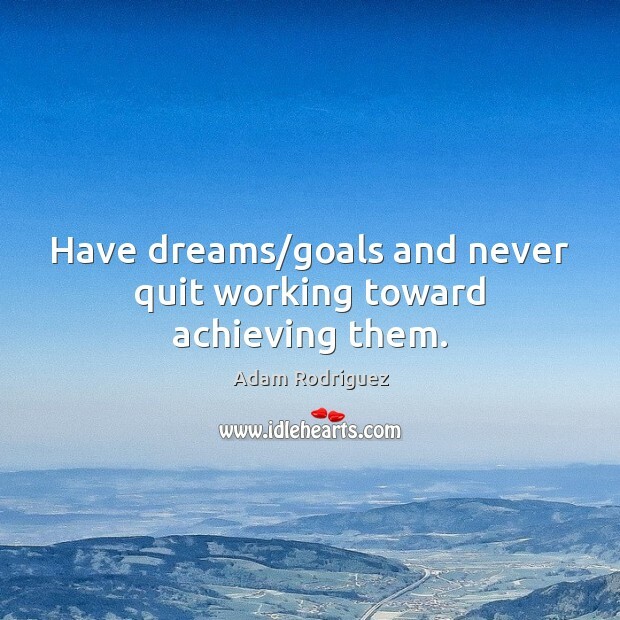 Have dreams/goals and never quit working toward achieving them. 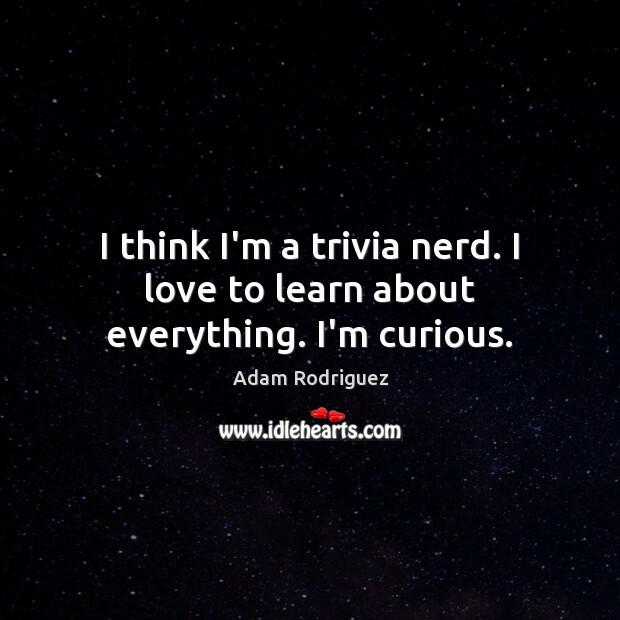 I think I'm a trivia nerd. I love to learn about everything. I'm curious. 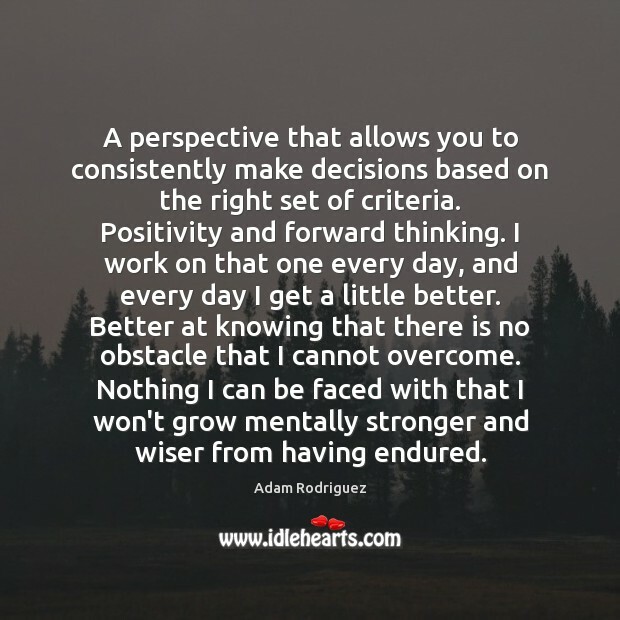 A perspective that allows you to consistently make decisions based on the right set of criteria. Positivity and forward thinking. I work on that one every day, and every day I get a little better. 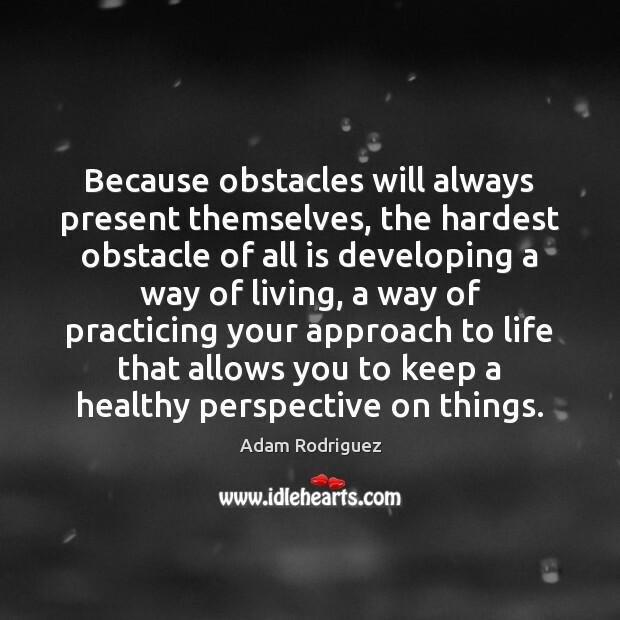 Better at knowing that there is no obstacle that I cannot overcome. Nothing I can be faced with that I won't grow mentally stronger and wiser from having endured. 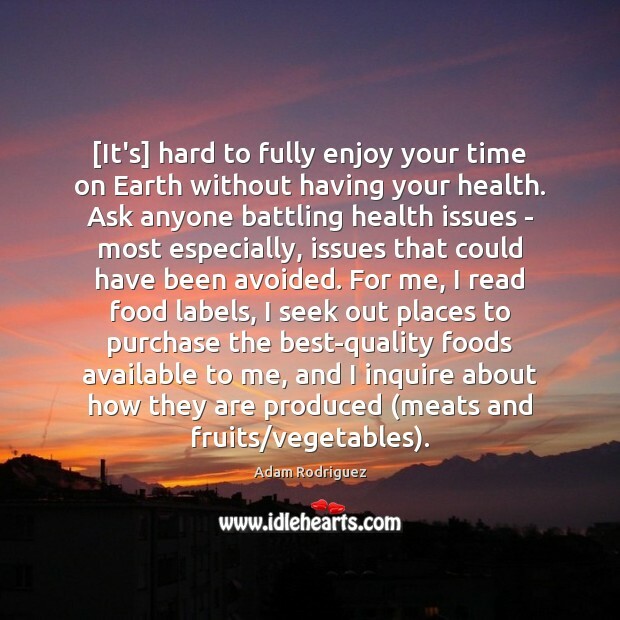 [It's] hard to fully enjoy your time on Earth without having your health. Ask anyone battling health issues - most especially, issues that could have been avoided. For me, I read food labels, I seek out places to purchase the best-quality foods available to me, and I inquire about how they are produced (meats and fruits/vegetables). 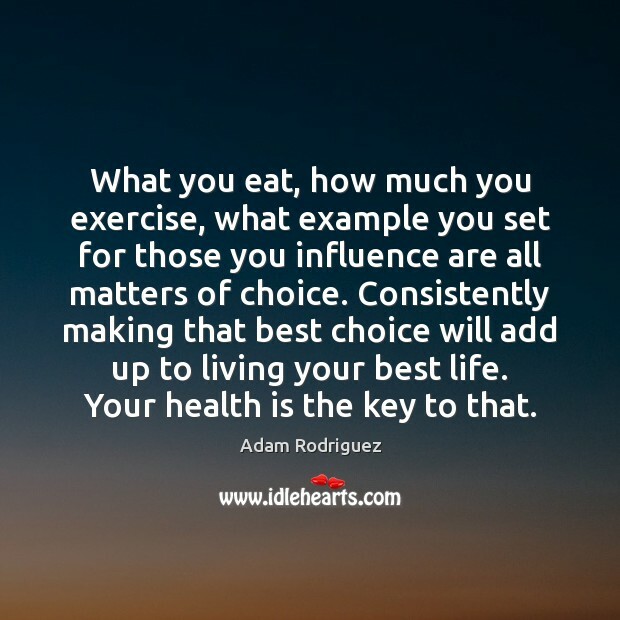 What you eat, how much you exercise, what example you set for those you influence are all matters of choice. 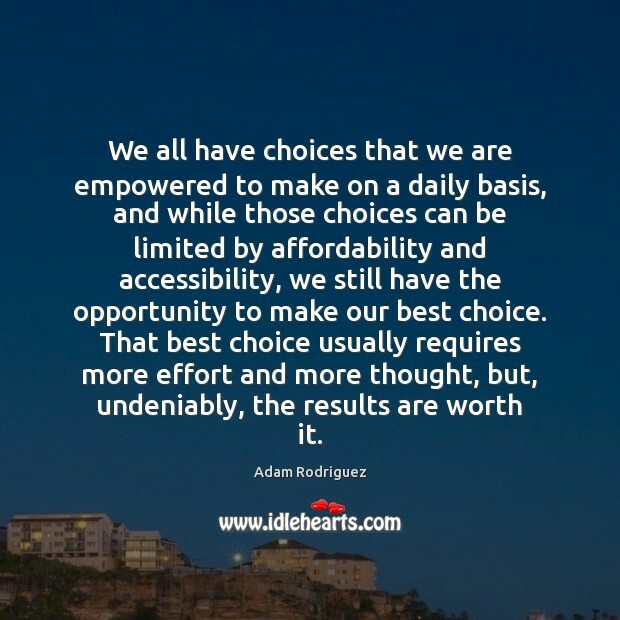 Consistently making that best choice will add up to living your best life. Your health is the key to that.